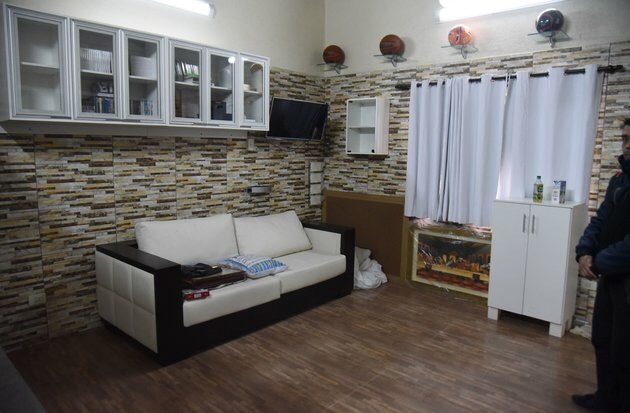 How this Brazilian drug lord was able to create his own luxurious 3-room air conditioned suite in prison is beyond me. Clearly power & money works in one’s favor in Paraguay. A Brazilian drug lord has been found living a life of luxury while behind bars. Jarvis Chimenes Pavao hasn’t had to endure a grimy cell while serving eight years for money laundering at the notoriously crowded Tacumbu prison near Asuncion in Paraguay, the BBC reported. Oh, no. Instead, he’s been whiling away his days inside a specially adapted, air-conditioned three-room suite. Here a few pictures of Jarvis Chimenes Pavao’s cell suite which is now being demolished. 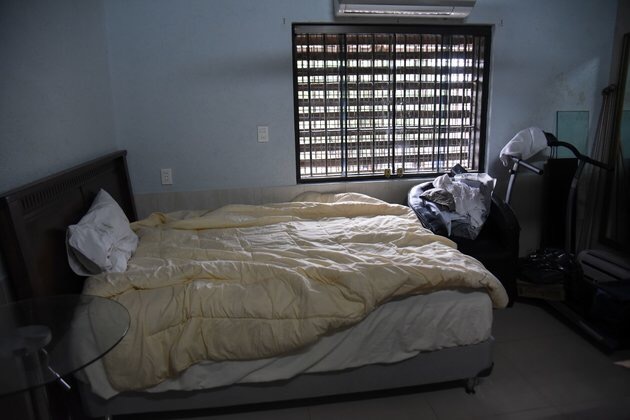 Photographs and video released this week reveal how Pavao, who was likely due to be extradited back to Brazil in 2017 to serve a sentence for a previous drug trafficking conviction, enjoyed sleeping on a comfortable-looking double bed and keeping fit on a treadmill. Entertainment came courtesy of his very own plasma television and computer, which was located near a refrigerator and freezer in case he needed a snack or beverage. 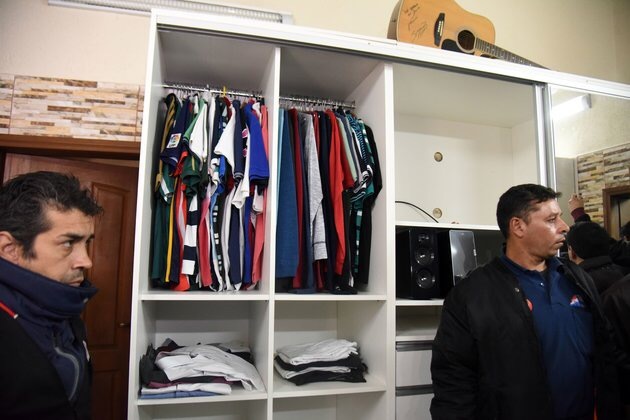 The 42-year-old also had ample wardrobe space for his collection of clothes and fancy footwear, as well as an en suite bathroom. 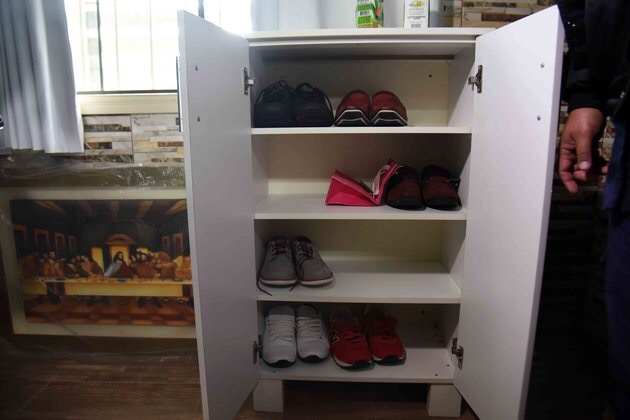 Pavao even had a closet area where he kept his clothes & shoes tidy. 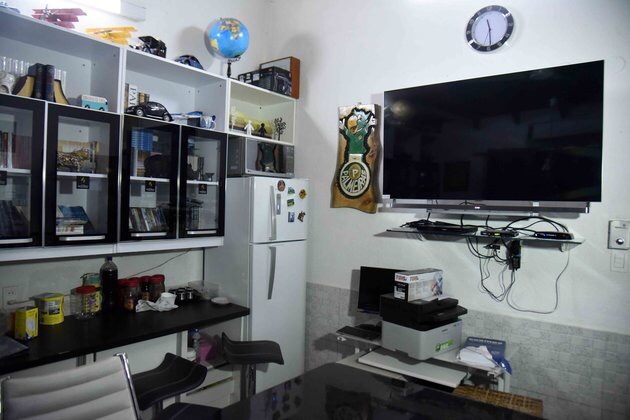 Other images show his fully stocked library and eclectic DVD collection, which included a TV series on the life of Colombian drug lord Pablo Escobar ― who himself, before his death in 1993, cut a deal with his country’s authorities, who let him design and reside inside his own prison. 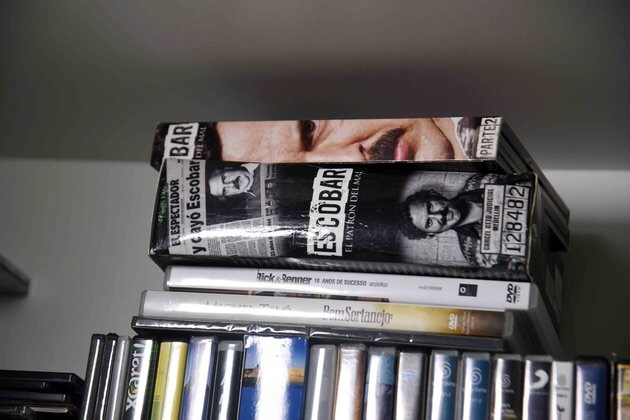 Pavao enjoyed the luxury of watching DVDs, including a TV series about Colombian drug lord Pablo Escobar’s life. Pavao’s privileged prison life came to an abrupt end on Tuesday, however, after Paraguayan police discovered he was hatching an escape plot, Agence France-Presse reported. He’s now been transferred to another secure unit while officials investigate how he came to set up his extravagant living quarters, which he would reportedly rent out to fellow inmates for up to $5,000 per week. 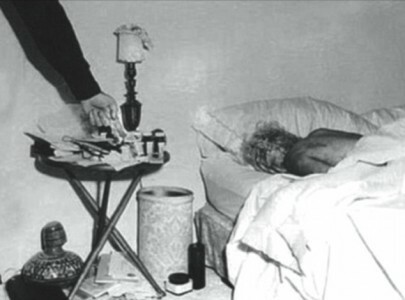 His cell, which was a far cry from the normal living conditions endured by other inmates is now set to be demolished. Wow, after all this privilege and he still tried to escape? He was clearly living better behind bars than some people live on the streets. My main thought is who did the interior design & construction? Surely the prison had to allow this extravagant remodel to happen. 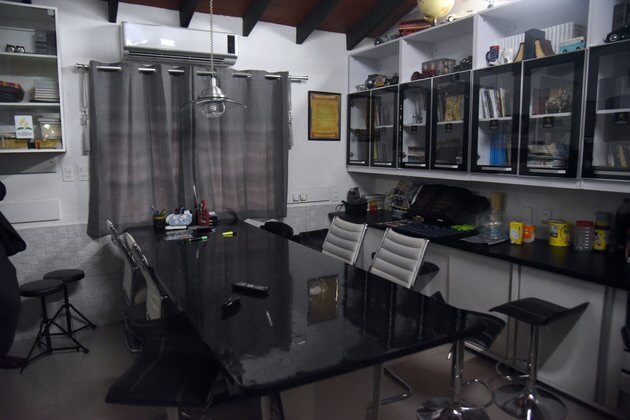 The guy has a treadmill, designer furniture, flat screens, refrigerator & freezer– just to name a few perks. Thankfully I’ve never spent time in prison, but I can’t believe anyone would jeopardize this kind of sweet deal. Reminds me of the classic prison scene in “Goodfellas” where the guys were enjoying home cooked meals like steak & lobster and living like kings. If this were a film, it would definetly be Goodfellas 2.0.